Tooth decay is a major problem not only for adults, but also for children. Early childhood tooth decay (or dental caries) can negatively impact the health of your child’s mouth, leading to serious infections and potential deformities, which are costly to treat, not to mention painful for your little ones. Luckily, there are steps you can take right now to prevent childhood tooth decay that will save you money on future treatment, make life comfortable for your child and help them maintain that heart-warming smile. What Causes Childhood Tooth Decay? Tooth decay is often caused by excess acid, produced by bacteria in the mouth, eating its way through the protective layer of enamel of your child’s teeth. Unfortunately, these bacteria spread to your child’s mouth from outside sources: namely you – the parent – or other caregivers. Bacteria can be transferred when a parent, or caregiver, tastes a child’s food before feeding them, or by sharing utensils & cups without washing them first. Bacteria feeds on the sugars from food and/or liquids (other than water) and turns this sugar into harmful acid, damaging the tooth’s protective enamel. The longer sugar remains in your child’s mouth, the greater the risk of childhood tooth decay. This is especially true for children that eat a lot of sugary foods and babies that are put to bed with their bottle, as this tends to mean milk or juice stays in the baby’s mouth overnight, creating an ideal environment for bacteria to breed. 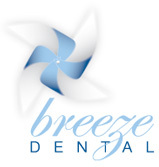 The signs of childhood tooth decay often appear in relation to the stage of decay present. Early Stages – A white discolouration in the shape of spots or a band across the upper part of the teeth, closest to the gums. This stage is usually difficult to spot and will require an expert eye for early detection. Mid Stages – Yellow, brown or black discoloration in the shape of spots or a band across the upper part of the teeth, closest to the gums. Advanced Stages – Teeth that are brown/black. As acid producing bacteria feeds off sugar in the mouth, reducing the amount of sugary food and drink in your child’s diet is a major step towards preventing childhood tooth decay. Another important step to take, in the prevention of childhood tooth decay, is taking care of your own oral hygiene. Ensuring you brush regularly, maintain a healthy diet and schedule regular appointments with your dentist can help reduce the risk of transferring high amounts of oral bacteria to your child. As mentioned earlier, leaving your child overnight with a bottle creates situations where the sugars from milk or juice can engulf your child’s teeth for extended periods of time. The longer sugar is allowed to remain in your child’s mouth, the higher they are at risk of tooth decay. Transitioning your child from bottle to cup as early as you can is a great way to cut down on liquids (other than water) washing over your child’s teeth, where the sugars and bacteria can do the most damage. Spotting the early signs of tooth decay, yourself, can be difficult, so it’s important you pay regular visits to your family dentist who’ll provide the best advice for keeping your child’s mouth healthy, spot early signs of tooth decay and help you prevent complications from arising in the future. 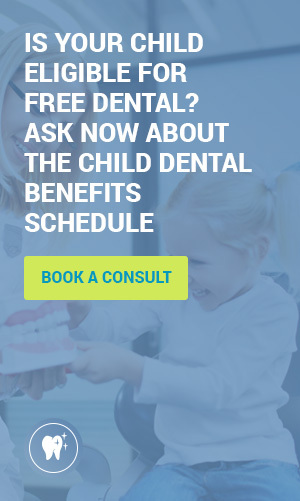 Book an appointment for your child today with one of our friendly dentists by phoning (07) 5665 7189 or book online by clicking this link.